Welcome to Wood Pellets 101! 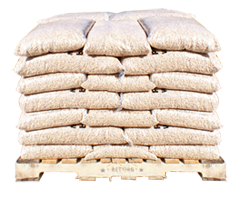 A pallet of bagged pellets (50 bags). Help create local jobs for folks you know. Find a cleaner and more cost-effective alternative to heating with oil, propane, or even cord wood. Wood pellets are a heating fuel typically made from the compacted sawdust and industrial waste from the milling of lumber as well as the manufacture of wood products like wood furniture and flooring. They are extremely efficient, easy to use, renewable, and 100% natural. The average homeowner will save $682 each year by heating with wood pellets instead of heating oil, reduce carbon emissions by 4.8 tons, and support the domestic economy and local jobs! What’s So Green About Wood Pellets, Anyway? When you burn a ton of wood pellets, you’re saving the same amount of fossil fuels as if you replaced your car with a hybrid… for a whole year! Pellets are carbon neutral, because they are made with sustainably harvested wood, and they emit less carbon than a decomposing tree. And because pellet stoves are so efficient, you’re getting more heat for less money out of fewer resources… and that’s pretty green! 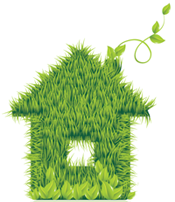 Switching to wood pellet heat is easier than you think! Some states have grants to help with the upfront costs. Installation is a snap. 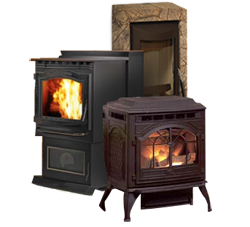 And we can help you find a pellet stove from a local stove dealer that will fit your home, your budget, and your expectations! 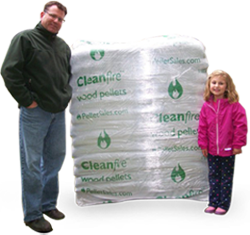 Most homeowners use about three tons of pellets a year to heat their homes. You can stash pellets just about anywhere – your garage, shed, or basement are great places to keep your pellets sheltered and dry. Once you start burning, we recommend weekly cleanings to keep your stove running smoothly, and a visit once a year from a friendly professional to perform a tune-up, inspection, and a full-service cleaning. WoodPellets.com delivers the highest quality wood pellets right to your doorstep, with a heaping side of award-winning customer service. Our Pellet Experts will help you select the right fuel for you – and then, you’re covered throughout the heating season by our Quality Guarantee. So what are you waiting for – check out our pellets, read what our customers have to say, and learn the top 10 reasons to call us today!